Ford Customer Service Division is excited to announce the evolution of the Extended Service Plan (ESP) brand. 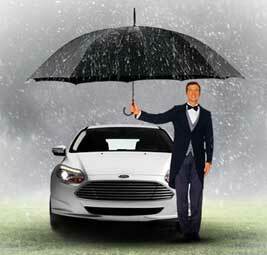 Effective October 2, 2015, the Ford ESP brand will become Ford Protect Extended Service Plan. While the brand name is changing, you can be confident that what has made the ESP brand the best in the industry will remain consistent. This brand evolution will better align our collective businesses under the Go Further and One Ford Plan. We are confident that the new Ford Protect brand will help us exceed our collective goals of increasing Ford Protect Extended Service Plan sales, while at the same time, continuing to excel in customer retention and satisfaction. As part of Ford´s global brand, Ford Protect is a program that has been performing in other countries for more than 15 years. Its implementation has been gradual, according to each geographical area, in order to be available for the entire dealer´s network by the end of this year. For over 40 years, Ford has made extended warranties available to Ford owners under their Ford ESP brand. Ford ESP is a name well recognized by owners of Ford vehicles. It has been the only manufacturer backed coverage offered from the Ford Motor Company. The creation of the Ford Protect brand will better clarify to the consumer the numerous product offerings Ford has brought under one umbrella, so to say, that will help consumers care for and protect their vehicle investment. Lombard Ford - The Online Sales Leader. Lombard Ford, a provider of Ford ESP, is eager to see this branding change as it better defines the innovative accomplishments and enhancements that Ford Motor Company has become known for with its vehicle protection products. Ford now offers the consumer a complete package of protection through the Ford Protect brand that includes plan coverage for mechanical repairs, scheduled maintenance, tire-wheel-dent-windshield care, and SurfaceCare.